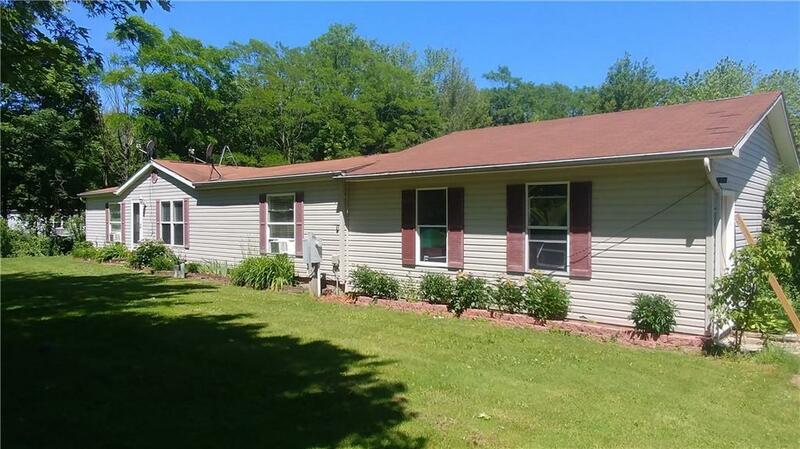 3 bedroom, 2 bath newer manufactured home on permanent foundation on 1.15 acres in village! 2 car attached garage, shed, covered deck, partial fenced in yard, new gutters, newer shed and 50amp RV hookup. Home sits off of Main St and has views of nature and a pond from the back deck. Master bedroom suite includes a garden tub and double vanity with shower. All walls are drywalled. Kitchen appliances included. Cheap Brocton electric!